This Fiji Cruise Vacation: Fiji Highlights Cruise and Resort Package was planned for a honeymoon couple from Seattle. They wanted a romantic vacation in Fiji, but they wanted to explore multiple islands and have some truly memorable experiences. This Fiji Cruise Vacation allowed them to see the beauty of the Yasawa Islands and finish at a romantic, adults-only resort. They began their Fiji Cruise Vacation with a spectacular, all-inclusive 4-night cruise with Blue Lagoon Cruises. The cruise allowed them to discover the pristine beauty, adventure, and fascinating culture of the Yasawa Islands, all while enjoying delicious food and drinks and authentiic Fijian hospitality. They spent their first day exploring the Sacred Islands with no one else around, free to swim, snorkel, and beach comb at their leisure. The next day, they cruised through the Yasawa Islands to the famed Blue Lagoon. This crystal-clear lagoon is filled with colorful corals and magnificent marine life. They spent the day on Blue Lagoon Cruises’ private beach. 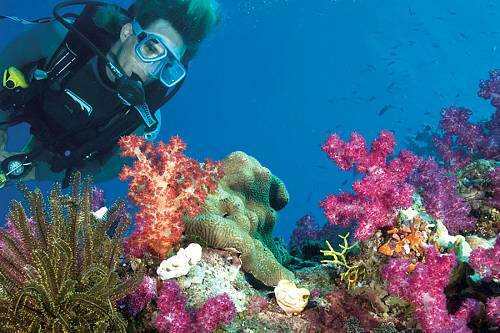 Since they were avid divers, they decided to book a diving excursion in this incredibly vibrant reef system. In the evening, they enjoyed a traditional Lovo meal and a Meke cultural performance with dancing and storytelling. Continuing their Fiji Cruise Vacation, they explored the Sawa-I-Lau Caves and visited the village of Tamusua. Here, they were treated to a very special and authentic Fiji experience. The villagers performed the yaqona (kava) ceremony and welcomed their guests to a traditional feast, just as they would put on for special occasions. Their last stop was Drawaqa, where they snorkeled with manta rays and enjoyed a delicious barbecue dinner under the stars. After 4 incredible nights aboard the Fiji Princess, they transferred to the luxurious Lomani Island Resort to end their Fiji Cruise Vacation with a few days of utter relaxation. Hidden among swaying palms and tropical gardens, Lomani offers privacy, romance, and rejuvenation. They spent their last 3 nights enjoying the tranquil atmosphere of this island paradise. Welcome to beautiful Fiji! Your private transfer catamaran will take you from Port Denarau to the Sacred Islands and your cruise vessel, the Fiji Princess. Meet your crew and fellow passengers and enjoy a tasty lunch onboard. Your vessel will remain anchored in the Sacred Islands for the remainder of the day, leaving you free to swim, wander the idyllic beaches, kayak in the lagoon, and simply enjoy being the only group in this beautiful part of the world. This afternoon, you’ll learn the art of Fiji high tea. Then, head back onboard for happy hour, enjoy a Captain’s Dinner, and finally witness some spectacular Fijian entertainment. Laze on the sun deck as you cruise past several of the larger Yasawa Islands and beautiful bays. Your destination today is the famed Blue Lagoon. 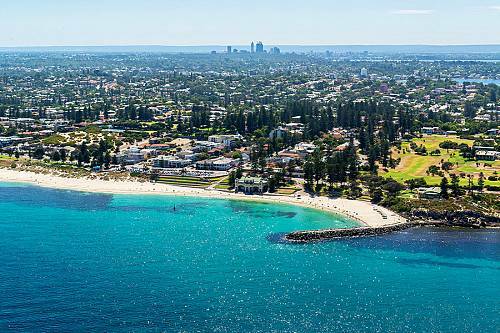 This superb stretch of water is circled by islands, creating a lagoon that is filled with fascinating coral reefs easily seen from the surface of the crystal clear waters. Your cruise will anchor at a private beach, where you’re free to spend the day at your leisure with no one else around. Divers can pre-book a diving excursion at this island. Happy hour is served on shore from the beach bar along with canapés. Tonight is a very special night with a traditional Lovo meal prepared underground. Following dinner, enjoy a fantastic Meke performance with singing, dancing and story telling by a group of local villagers. Enjoy afternoon tea onboard as you head to the mystical island of Sawa-I-Lau and explore the island’s caves on a privately guided tour. This evening includes a special visit to the village of Tamusua. A yaqona (kava) ceremony, a guided walk around the village, and a Fiji village style feast awaits you. This is not a feast tailored for visitors, but one exactly as the village would hold themselves for special occasions. Return to the Fiji Princess for a movie night. Head out of the bay and toward Drawaqa Island. Spend today onboard at your leisure. Upon arrival at Drawaqa, you’ll have the opportunity talk with a marine biologist and learn about local fish, marine life, and the conservation work being done here. Depending on the time of year, you might get to see manta rays and even snorkel with them. You’ll also find superb diving in this area! Alternatively, you can visit a local village and meet Vinaka Fiji volunteers or, for the ultimate adventure, go abseiling off of an island cliff top to the stunning waters below. Dinner this evening is a delicious barbecue served on the upper deck under a vast canopy of stars. This morning marks the end of your Fijian cruise adventure. 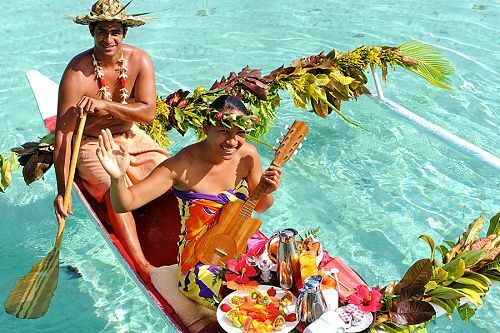 Enjoy breakfast onboard as the Fiji Princess heads back to her home port. The crew will sing a traditional Isa Lei song to bid you farewell. At Port Denarau, your transfer awaits to whisk you away to your wonderful accommodations at Lomani Island Resort. 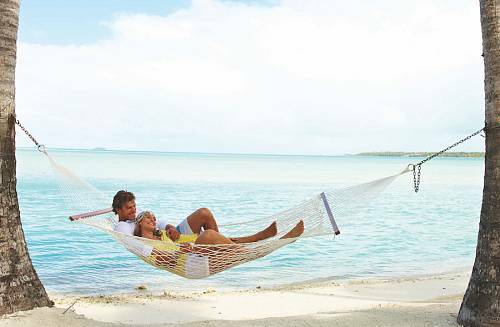 After your fun-filled Fiji cruising adventure, enjoy some sun and relaxation at your luxurious resort. Hidden among the swaying palms and tropical gardens of Malolo Lailai Island, Lomani Island Resort fronts miles of white sandy beaches and pristine lagoons. Soak up the sun and enjoy crystal clear waters filled with amazing marine life and colorful corals. With just 24 bures at the resort, Lomani ensures an uncrowded, intimate, and purely Fiji experience. Today marks the end of your fabulous Fiji getaway. Enjoy breakfast at the resort before embarking on your launch transfer to Port Denarau, where you’ll continue to Nadi Airport and begin your journey home. Kokado (pronounced Kokando) is a definite must if you like seafood—ceviche in a cool, creamy coconut broth.